I am located on the west side of Kimbark Street at 627 Kimbark Street. Kimbark Street runs parallel to Main Street, and it is 1 block east of Main Street. 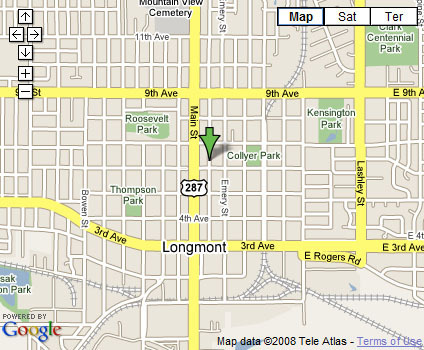 My office is between 6th and Longs Peak Avenue on Kimbark. There is free parking on the street. My office and waiting room are on the 2nd floor.